The key to knitwear for men is ease of wear. For a knit to be worn, it must be wearable, easy to grab and go, and when we design with men in mind, practicality ranks higher than when we design for women. Before you embark on knitting garments for men think very carefully about the pattern you choose. You’ll be knitting a much bigger garment, with longer sleeves (just think about that – a sleeve can take almost as long to knit as a back!) and so the pattern you choose must be one that will be worn! Begin your pattern search with designers who work well in menswear. They’ve done the thinking for you – patterns that men will like, (not too outlandish or conversely just daring enough) in yarns that are wearable and washable (frankly, don’t waste your cashmere and silk yarns here) and where the pattern writing will keep you engaged during those long, long sleeves! The fusion of Japanese style and Western cultures shows through in Kyoko’s designs for men and women. Find out more about her inspiration in our interview here! Canadian Andrea Rangel is well known for her fabulously elegant womenswear and her prolific pattern writing, but you may not have discovered her menswear designs. She works chunky ribs, complex cables and stranded knitting into many of her patterns, with very stylish results. The Dude (pictured above) illustrates all I said earlier about practicality and ease – it’s warm, it has a zip, it’s easy to grab and go – and it’s fun to make because it uses stranded knitting so there’s enough going on in this pattern to keep you challenged. It suits younger men and funky dads, especially those keen on outdoor pursuits, so knit it in something practical – in this case, Cascade Yarns Ecological Wool from Cascade Yarns, which is a chunky weight, so this cardi will knit up fast! Rich Ensor, otherwise known as That Bald Guy Knits (apparently this dates back to when someone in a knitting shop asked “what’s that bald guy knitting?”) loves cables and twisted stitches – and socks are his thing. 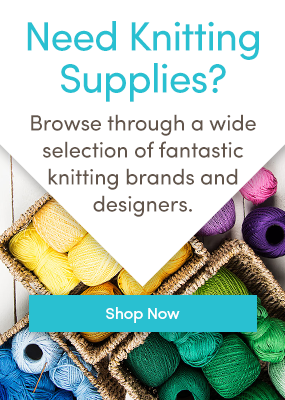 This is an area where all the rules I fired out earlier are bent – bring in your beautiful yarns, injections of cashmere, sumptuously soft merino wools, and luscious hand-dyed 4ply treasures! Socks are where the design rules change. Rich’s socks are crafted for knitters – cables, honeycombs and joyous stitchery abound to keep you interested working through both socks! These are the thinking man’s socks – not grab and go – they are carefully chosen and, as with all hand knitted socks, a treat indeed. No talk of menswear design would be complete without the innovative, fabulous Stephen West. He brings us menswear with daring – scarves, shawls, hats, stunning yarns and intricate colourwork – very much the modern man’s knitwear. Drangey is a hugely popular pattern – who can resist the combination of grey and yellow, illustrated gorgeously here in deep granite grey and antique gold. But this textural knit would work well in any combination, and the easy boatneck neckline and raglan sleeves will flatter any male physique. Knitted top down, with some stripes, slipped stitches and two-shade ribbing, this is a pattern you’ll love knitting all the way through! Explore our fabulous range of menswear patterns here! What will you knit the men in your life? I’ve been thinking about knitting ‘The Dude’. One of my friends is a ‘Big Lebowski’ fan, he loves bowling and hanging out, so he would certainly wear this cardigan a lot.